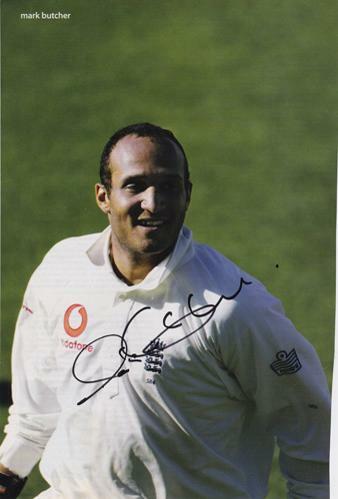 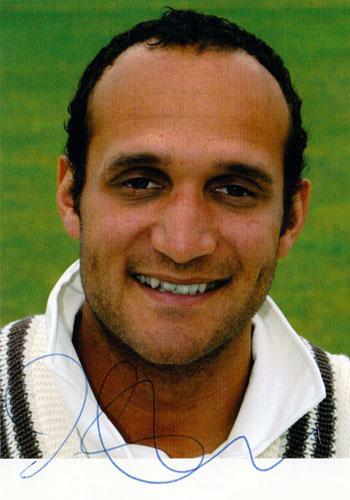 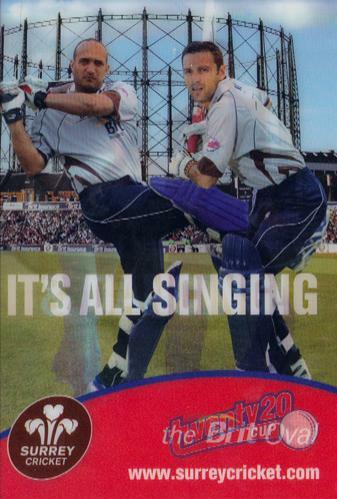 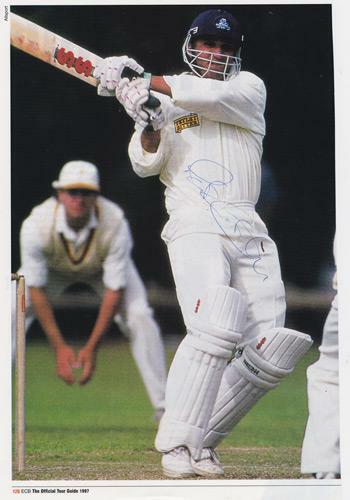 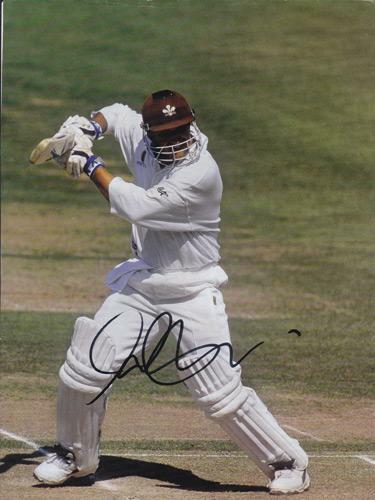 Signed Surrey CCC player postcard. 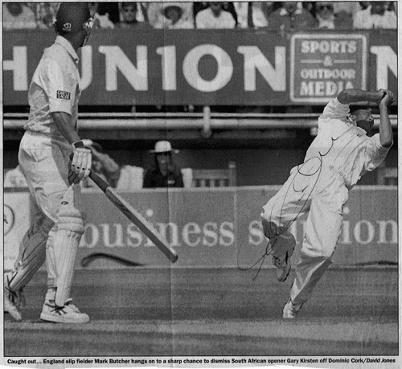 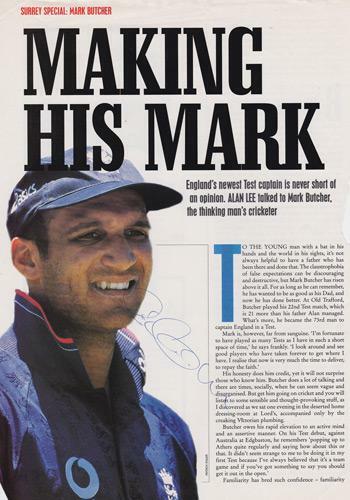 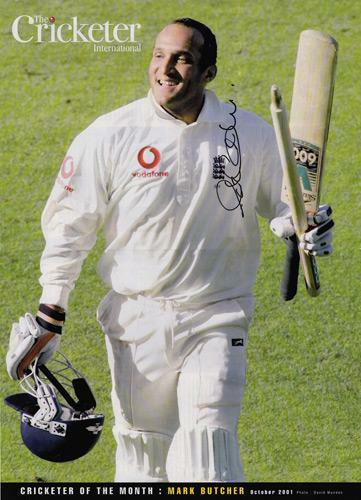 to lead England to victory over Australia in the Fourth Ashes Test at Headingley in 2001. 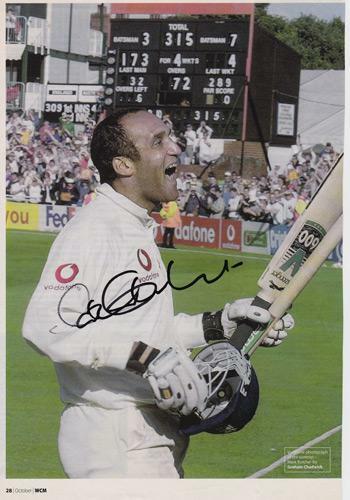 Approx size: 8.5" x 8"
Approx Size: 6.5" x 6.5"